Each year millions of people around the world are diagnosed with depression and prescribed medication. With concerns mounting over a global surge in sales of pharmaceutical drugs, Mischa Wilmers asks leading researchers whether a popular form of meditation known as mindfulness can offer a safer, more effective alternative. His report contains some disturbing statistics. In the US 11% of people over the age of 11 take antidepressants. In the UK the figure is lower but it is estimated that five million people are now labelled depressed or suffering from anxiety - twice as many as in 2002 - and the prescription rate of antidepressants doubled between 1998 and 2010. It is not that these forms of unhappiness should not be taken seriously, rather, Dowrick suggests, it is unhelpful to view them as illnesses and medication is unlikely to help. 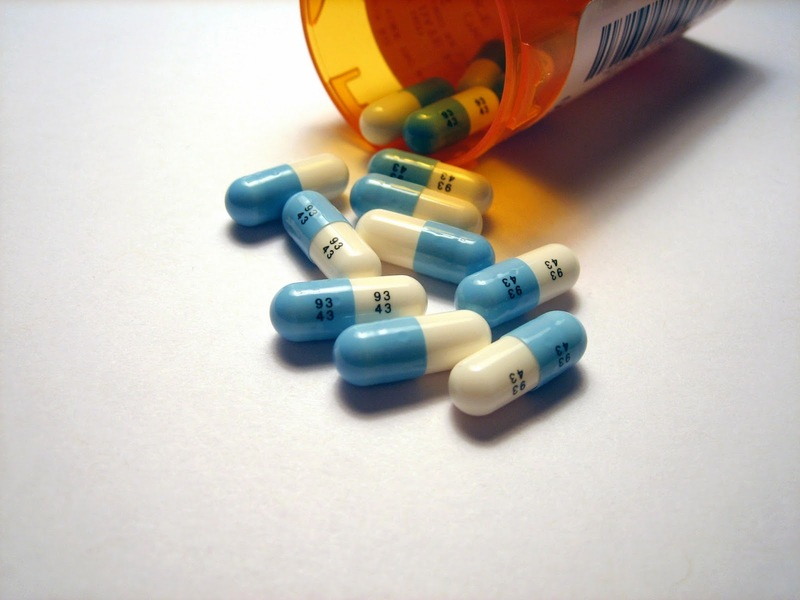 Research has shown that bestselling drugs like Prozac are no better than a placebo at alleviating mild symptoms of the kind grieving patients may present. “Antidepressants may be some use for moderate depression but they’re only helpful for sure with much more severe depression,” he asserts. Instead Dowrick feels greater attention should be paid to the potential of therapies which are free of negative side effects. Among the most promising of these, he claims, is mindfulness meditation. Mindfulness traces its origins to the Buddha, who lived in India in the 4th century BC and taught his followers the importance of meditating. Over centuries numerous variations of Buddhist meditation have developed which train the mind to focus on a single object of attention - typically the sensation of breathing - and develop an awareness of the nature of suffering. One such variant is mindfulness meditation, which emerged in the West in the 1970s and emphasises concentrating on the present moment instead of being consumed by thoughts related to past or future events. To first approximation it may seem strange that western medicine, with all the benefits of modern technology, should look to a 2500 year old eastern tradition for inspiration. Yet Professor Dowrick is hardly the first scientist to have expressed an interest in it. At the University of Toronto, Professor of Psychiatry Zindel Segal has been researching the potential of mindfulness meditation to help depressed patients for over two decades. Segal first became interested in mindfulness when he was given a grant by the MacArthur Foundation in 1992 to develop a new approach to the treatment of depression. His mission was to modify Cognitive Behavioural Therapy (CBT) - a talk therapy involving one to one sessions between a psychiatrist and patient - in order to design an intervention programme which could reduce the risk of relapse in patients with a history of recurrent depression. He used the grant to gather two colleagues, John Teasdale and Mark Williams (both of the University of Oxford), who had published research into the nature of vulnerability to depression. In the process of developing their model the three scientists came across a radical programme in the United States which used mindfulness to treat patients with chronic pain. Jon Kabat-Zinn's pioneering Mindfulness Based Stress Reduction (MBSR) sessions used simple breathing meditation techniques to help participants manage their symptoms better. Participants were then given guided audio tapes which they could use to meditate in their spare time. Clinical trials had recorded promising results for MBSR and Segal believed similar techniques might be helpful for patients with a history of depression. “We spent time with Jon Kabat-Zinn and his group, watching their teachers teach this material in MBSR. So on a personal level we felt there was something here that could be useful if we could help our depressed patients do the same thing,” he explains. And so it was that by merging elements of CBT with techniques inspired by Kabat-Zinn’s sessions, Mindfulness Based Cognitive Therapy (MBCT) was born. All that was left was to see if it worked. All the participants in MBCT’s first clinical trial had been diagnosed with depression and 80% had experienced three or more depressive episodes. They had all been treated to a point where they were in remission and were not taking anti-depressants at the time of the trial. The results marked an important step forward. While MBCT proved ineffective for patients with two depressive episodes or fewer, those who had suffered three or more episodes recorded a 34-36% reduction in relapse over a one year period compared to usual care – similar to what other studies had found for the use of antidepressants. Subsequent trials conducted at Cambridge University and the Oxford Mindfulness Centre (part of Oxford’s Department of Psychiatry) replicated these findings. “It gave us a lot of confidence because we weren’t trying to outperform drug treatments. We would be happy with an equivalent benefit as some drug treatments because we knew that many people who start drug treatments will not continue them if they’re feeling better. We also knew that drug treatments carry significant side effects that people can’t tolerate,” says Segal. Indeed the strength of conviction in MBCT is now so high that the National Institute for Clinical Excellence (NICE) recommends it and the therapy has been available on the NHS to a limited number of patients in the UK since 2004. The comedian Tim Minchin once quipped, “You know what they call alternative medicine that's been proved to work? Medicine." Mindfulness meditation, it appears, has already made that leap. Segal doesn’t think MBCT should replace drugs altogether, rather he would like the therapy to run contiguously with treatments involving antidepressants during different phases of severe depression. MBCT, he stresses, is not designed to treat patients while they are experiencing depressive episodes, rather to prevent future relapse in those who have already recovered by other means. His research therefore sheds little light on whether mindfulness can, as Professor Dowrick hopes, help people with mild depressive symptoms feel better. In fact, until recently doctors and scientists have been unsure whether practising mindfulness has any effect on symptoms of depression at all. Now, following one of the most comprehensive reviews published to date, the evidence is clearer than ever before. Perhaps disappointingly for those who had promoted meditation as a miracle panacea, the results showed mindfulness therapies had little or no effect across a majority of outcomes. But when the researchers looked specifically at depression they found moderate evidence of a 10-20% improvement in mild symptoms over an average period of eight weeks. These results were, once again, similar to those recorded for antidepressants, and mindfulness was also the only form of meditation to record any positive effects. However, mindfulness therapies failed to outperform CBT and exercise, which were also associated with similar improvements. So how encouraging were these results and what did scientists learn about the relationship between mindfulness and depression? “I think that the evidence to this date has been so mixed that physicians really weren’t sure if this was something that was helpful or just a placebo effect. This review helps to put some clarity to that. We’re seeing a fairly consistent effect that mindfulness meditation reduces symptoms of depression. That is a fairly strong finding which at least to me suggests that this is something that is helpful,” says Dr Goyal. Professor Segal suggests that MBCT may yet boast significant advantages over other drug-free therapies. Firstly, mindfulness based group sessions are probably more cost efficient than talk therapies like CBT, which tends to be delivered on a one to one basis. Theoretically, this could make MBCT one of the most accessible options for patients who can’t afford the cost of a personal shrink, particularly in countries without universal access to free healthcare like the US. Segal also suspects people who learn mindfulness techniques may be better equipped than CBT participants to put their skills into practice over the long term. He admits this is speculative since very few studies have followed patients for more than a year after completing therapy. This is especially alarming in the light of concerns about pharmaceutical drugs raised by Professor Dowrick's BMJ report. But even if the necessary funding isn’t secured, Dr Goyal stresses the current evidence is already sufficiently strong to justify the expansion of mindfulness based therapies within healthcare systems around the world. Professor Dowrick agrees. In his capacity as a GP he regularly recommends mindfulness meditation to his patients and feels millions of others should be given the same opportunity. “All interventions have limited benefits, there’s nothing that’s a panacea for everything. But if the benefits are as good as the first line treatment which is an antidepressant that is in itself an important finding. I would be very happy to see more mindfulness approaches available on the NHS,” he concludes.